In the USA Absinthe was legalized in the year 2008. Absinthe Lucid was one of the first approved US Absinthes. In the USA Absinthe was legalized in the year 2008. 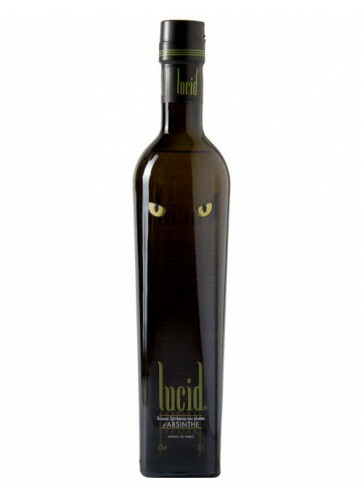 Absinthe Lucid was one of the first approved US Absinthes. It is developed by Absinthe chemist Ted Breaux, who is also the creator of the exclusive Jade Absinthes. Lucid is distilled in France. Its taste is less potent in comparison to the other Jade line. 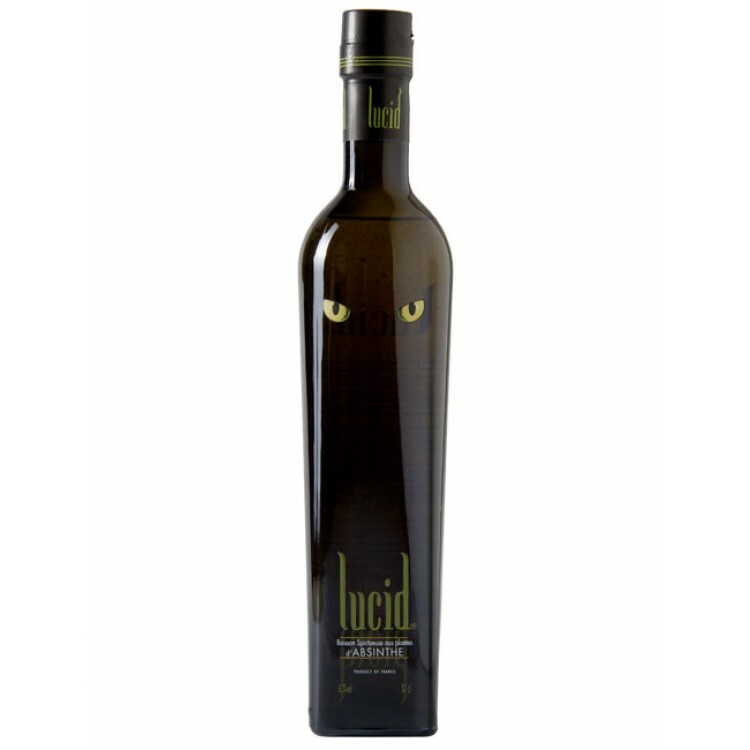 Lucid is a good starter Absinthe as it is not too strong on anise, fennel and wormwood. If you live in the US and want something to hold you over until your Alandia order clears custom this one can\'t be beat. I\'ve tried quiet a few of the US labels, and this by far is the best. No, it\'s not loaded with thujone, but it does have some. The alcohol is definitely the overwhelming active ingredient though, so don\'t wait for the fairy to start blowing into your ear anytime soon. That being said, the taste is very nice. It has a smooth layered burst of flavors that reveal themselves one by one as it runs off your tongue and finishes with a tiny bite. This is definitely my go to for a hold over. Three stars only because it is American and has such a tiny amount of Thujone. I believe this was the 2nd bottle of Absinthe I tried, and it seemed ok at the time, but after trying the European varieties here on Alandia, this bottle is just average now to compare. Firstly, I\'d like to give it up for America trying to bring some Absinthe back into our culture. Im from Los Angeles and when this stuff first came out, it was a shock. Everyone was intrigued that Absinthe was now being brought back, and that it was MADE in America (I don\'t happen to know where specifically) and there were billboards and advertisements everywhere. All that being said, the taste is really strong, very high alcohol flavored, and the effects just seemed nonexistent, but I guess with the American regulated 10ppm of Thujone, it\'s mainly the alcohol you\'re feeling. Would really only get this bottle if the local store had nothing else to offer. Heavy on the menthe -- too heavy with a medicine-like taste. In the States, the taste could be compared to \'Nyquil\'. Louche is cringe-inducing, pale and milky. But makes a decent mix with white wine. Just got a bottle and finished my first glass. Kinda yellow in color but louches fairly well despite this... a pale white as opposed to a jade green like some others. Not strong in flavor. Used the French method with one sugar cube and chilled filtered water. Very nice 'effect' (translation, good buzz off just one drink). Available in the USA, moderately priced. Kinda soapy aftertaste ... a little mouth numbing ... my best description. I think this one would be good to mix with some kind of fruit juice. I have mixed Absinthe with Pomegranate or Mangosteen Juice before with good results, and will try this next time. Some Absinthes stand on their own with water and some would be better as a mixer. This one might be better as a base for a mixed drink.